Auckland, New Zealand’s capital, is home to a quarter of the country’s population. A dynamic metropolis with a rich cultural life, ringed by the sea and many extinct volcanoes, Auckland offers travellers an enchanting urban patchwork. 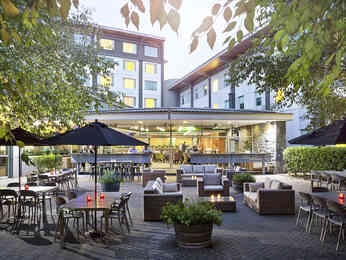 Novotel welcomes you to its hotels for a stay combining relaxation and well-being. Auckland is a seafaring city and attracts passionate travellers and adventurers. Located in the centre of the Gulf of Hauraki, the city of Auckland has many interesting museums, such as the Auckland Museum, the repository of all you need to know about Maori history and art. In the city itself, climb to the top of the Sky Tower to enjoy a dazzling view of the city before visiting the Auckland art gallery. Nature lovers will be in heaven. Because of its geographical location, Auckland is paradise for sports enthusiasts of all kinds. Enjoy the well-preserved wild beauty of the Great Barrier Island and explore the ecological sanctuaries of Little Barrier and Tiritiri Matangi islands before going to recharge your batteries in the folds of the Tasmanian Sea, on the much-favoured Piha beach. Climbing the extinct volcano One Tree Hill will help committed ramblers to view the city and the bay from above. They are absolutely unmissable. 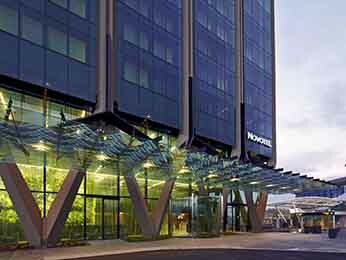 Our two Novotel hotels welcome you near the centre of the city for an unforgettable stay.